Traveling the Caribbean by sailboat is something that I’ve dreamed about for years. And I can now confirm that the actual experience is even better than I expected. After saying goodbye to our college girls, Sarah, Jimmy and I departed Antigua and started heading “up island,” as they say around here. 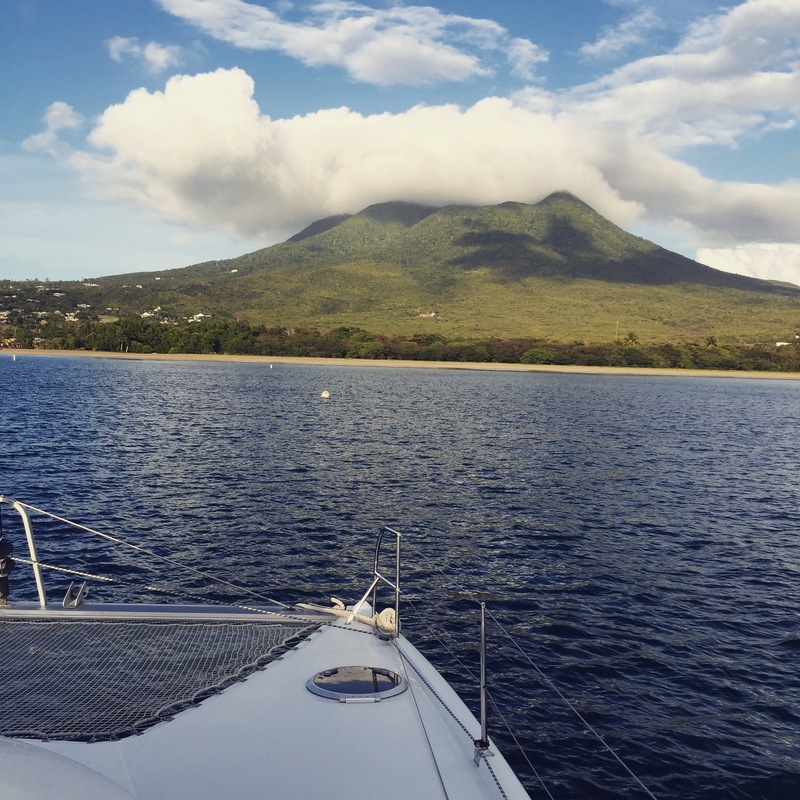 We hit Montserrat, Nevis, St. Barths and Anguilla. 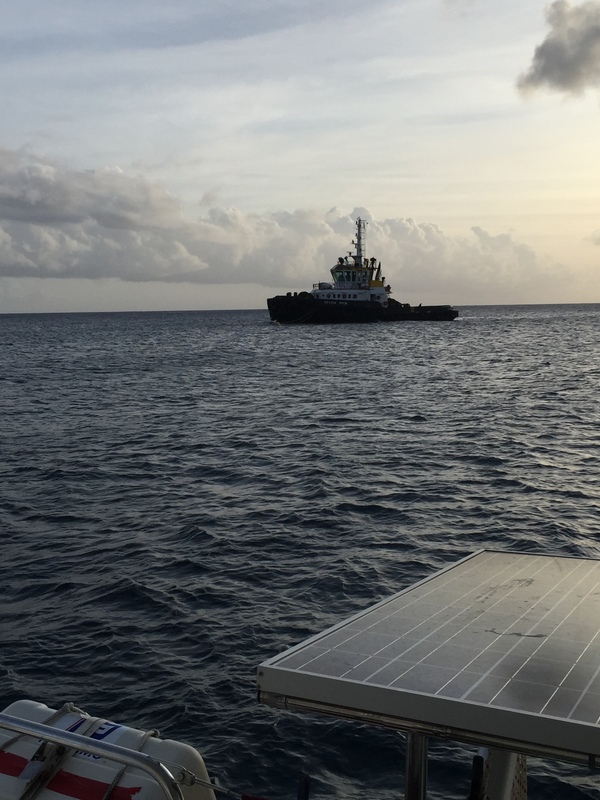 And we made our first overnight passage together from Anguilla to the U.S. Virgin Islands, a distance of about 90 nautical miles. It hasn’t sucked. Arriving in a new country by sail is pure awesomeness. You leave one country and the next one comes slowly into view over your bow. Details start to emerge. Roof tops come into focus, individual trees stand out, and before you know it you are dropping anchor with a sense of anticipation to explore a completely new place. This kind of travel–slow, peaceful (most of the time), and completely on your own schedule–is really unique. Each time we leave an island, I think about my last step as I push off from shore in the dingy and realize that my next footfall will be on a new beach in a new country later that day. No airports, no lines, no TSA, no luggage. Just the three of us in our temporary floating home. It’s an amazing way to travel, even if you do have to shower outside and manually flush your toilet. 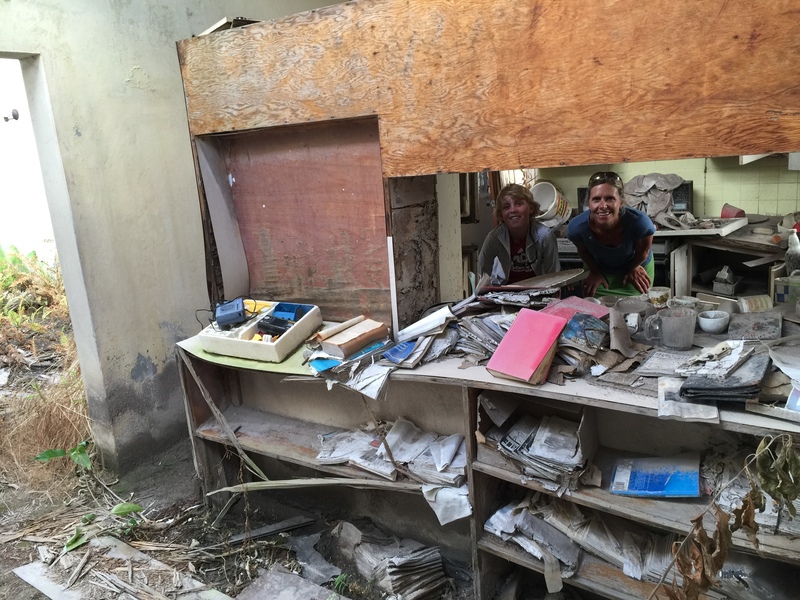 And o.k., I have to admit that our travel isn’t completely without some bureaucratic hassle. I do have to clear in and out of each country we visit. This involves a visit to 3 separate government offices, which are usually located right next to each other and are overstaffed and chock full of procedures that will make the DMV feel like Amazon.com. 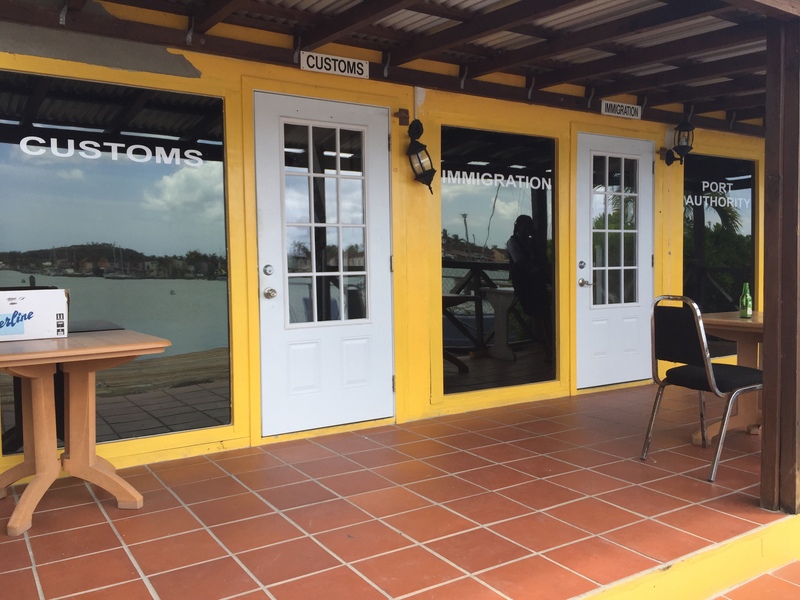 Checking out of Antigua was representative. I first went to Customs, but they told me to go first to Immigration, then back to them, then to Port Authority and then finally back to Customs one final time. The offices were all in the same building the size of a large garden shed. Yep, I’m not making that up. You just have to smile. And so far (knock on wood) the process has been quick and painless. If you wear a shirt with a collar, shower occasionally, and show the officials respect, things seem to go quite well. My cousin Jennifer McGuire commented on a picture I posted online that she loved following our daily adventures. That phrase has really stuck with me. It captures perfectly what this trip feels like. Each day has involved a new adventure (or three). These adventures have been possible because we have put ourselves outside of our comfort zone. We aren’t on a tour, or following the directions of a hotel concierge, or tour guide, or cruise ship. * We are completely “winging it” as they say. But getting outside of our comfort zone has opened up some amazing experiences. Some are uncomfortable and a bit scary (I’m not the best sailor in the world), some are funny, and some have brought a complete sense of wonder. But all of them have been authentic, real experiences that make me feel like I’ve lived 4 regular years of my life in the past 4 months. I wish I could always feel this way. The following are a few highlights. 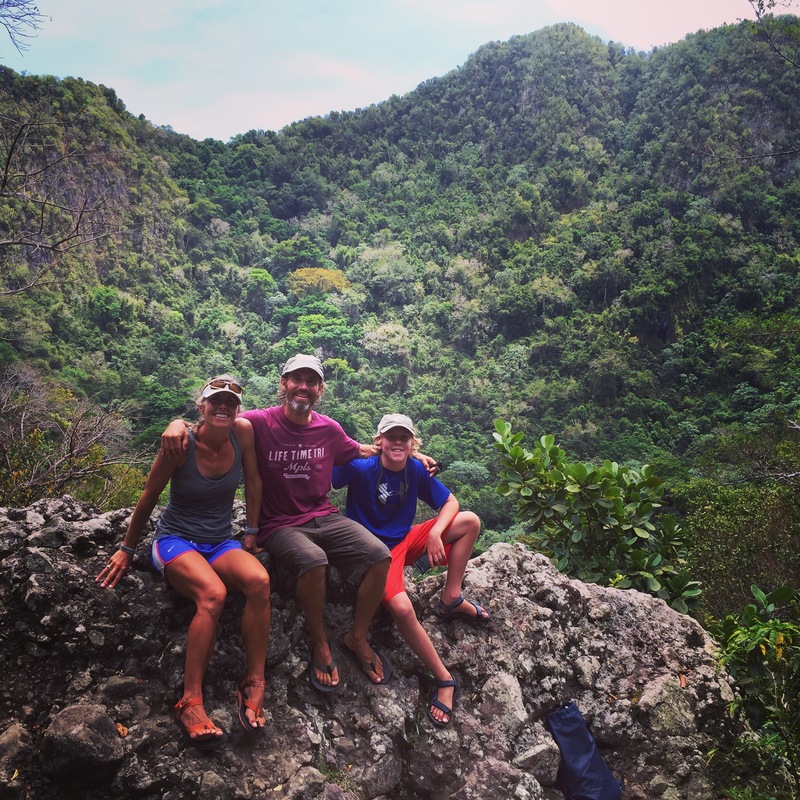 Montserrat is a beautiful little island that reminded us of Dominica. It’s people are friendly and the island is lush and green. Lots of famous musicians have recorded music here, including Paul McCartney, The Police and The Rolling Stones. But unfortunately, in 1997, the Soufriere Hills volcano decided to wake up. It destroyed the main town of Plymouth and several outlying towns in a series of eruptions that have spanned several years, the most recent of which was in 2010. 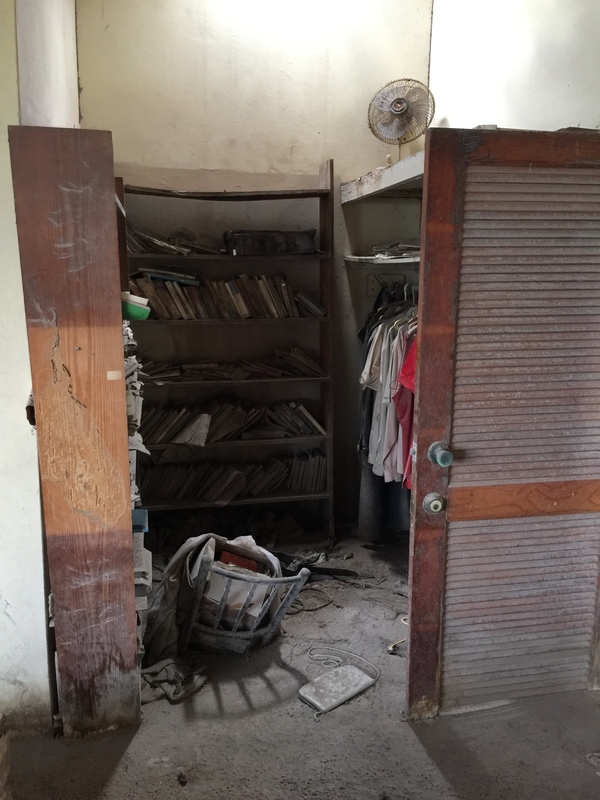 The residents that remained, about 5,000, had to relocate to the unsettled northern part of the island. They literally had to pick up one weekend and move everything–government offices, the prison, the bank, churches, you name it. It’s pretty incredible to think about. We did a 4-hour volcano tour with a guy named Joe Phillips who lost his home (and home town) in the eruptions. He was full of knowledge and pictures showing us first hand the before and after as he drove us into the wasteland. Other than Joe reminding us about 4,000 times how great his tour was and how hard he worked on it, it was an incredible experience. We got to feel geologic time in real time, and see how most of these islands were formed. Surreal, awesome, sad, up lifting. It confirmed that what we build is not permanent. We all loved the island of Nevis. It has a sort of proper old English feel to it, it’s clean and mostly uninhabited, and the huge cone volcano made us feel like we were in Hawaii or the South Pacific somewhere. We stayed two full days here, visiting museums (Jimmy’s favorite, not), the town market, and a bunch of ruins and historical sites. My favorite experience though, was on the morning of our departure. 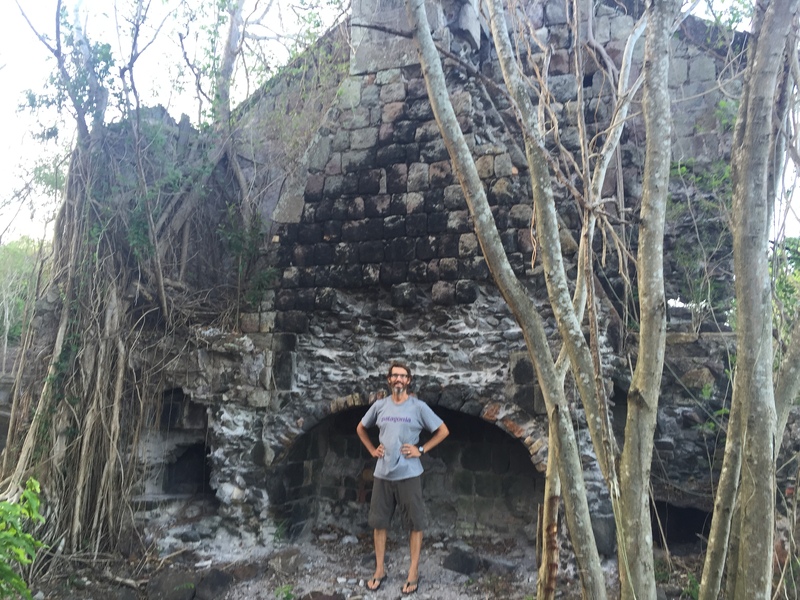 Sarah and I got up at dawn and did a hike up the mountain to the ruins of the Pinney Estate. 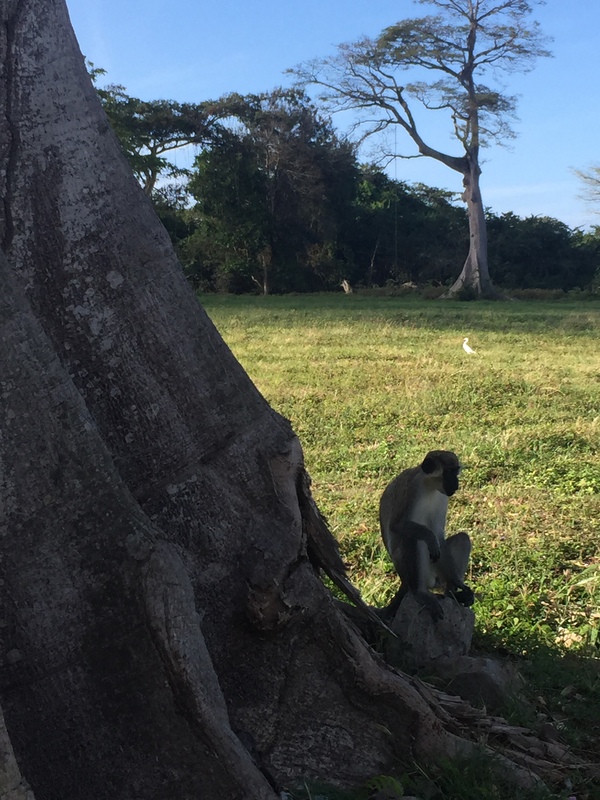 We saw the remains of an old Caribbean cook house, the largest baobab tree I’ve encountered, and a troop of monkeys. I’d love to spend more time here someday. 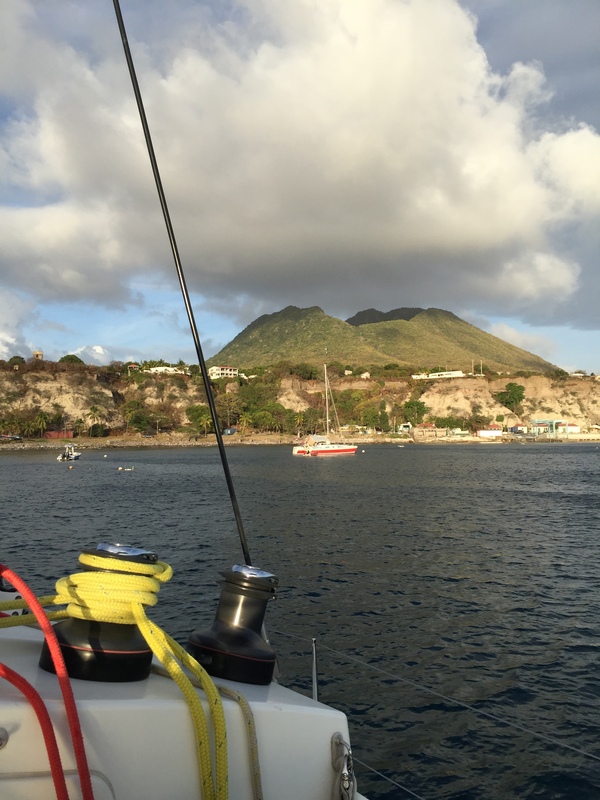 Our next stop was the Dutch island of Statia. 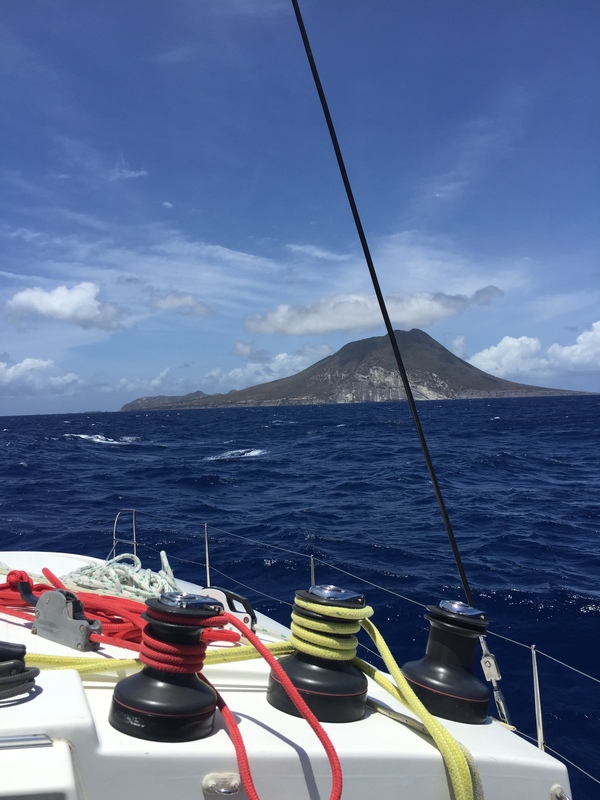 We had an “interesting” sail from Nevis, meeting winds that went from 2 knots to +35 knot winds in the blink of an eye as we rounded St. Kitts. It was the first time that Jimmy and I really worked as a team to get the boat under control. I wanted him to have a few scary moments like this on the trip to grow his confidence and he handled it better than I did. 13 year olds are invincible. 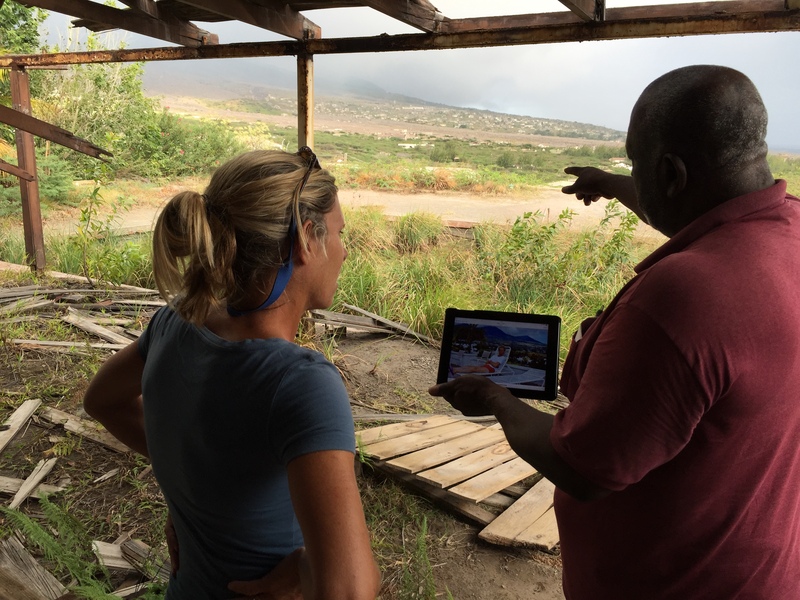 Statia is a land of commerce. It was a free port for 100’s of years, providing sailing ships a tax free way to move goods around the Caribbean and to the U.S. and Europe. It was the place that many enslaved Africans first stepped foot in the Caribbean. And it is still a bustling, busy port, only now they distribute oil through here rather than enslaved people and sugar. Even though we had a giant tugboat for our backdoor neighbor and we rolled around the anchorage at night like a carnival ride, we loved this place. The old town and fort have been remarkably restored, the slave road into town is impressive to say the least, and the hike up into the huge Quill volcano crater made me feel like I had been dropped into the t.v. show Lost. Jimmy has discovered that if he floats our blow up solar light off the back of the boat at night, creatures emerge from the depths. It has become our nightly entertainment. And it’s way better than television. The best show so far was on St. Barts. Huge tarpon, amber jacks and nurse sharks kept us company every night for hours. 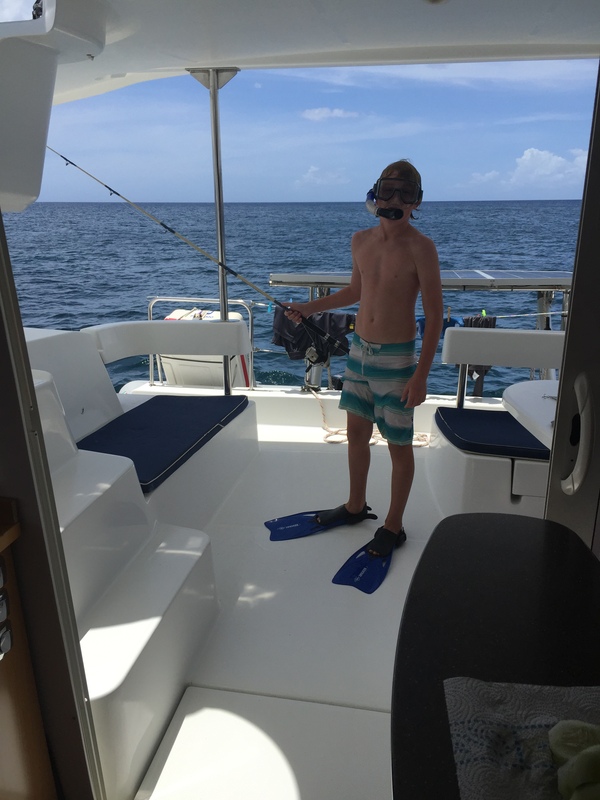 Where do they come from and why don’t we see them when we snorkel during the day? Jimmy’s love of fish and ocean creatures is infectious. And each night that I sit and listen to him yell out species that we need to come and see up close, I try to grab the words and hold them in my memory bank. It’s sort of like listening to your third grader get excited on Christmas morning that Santa made a visit. Adolescence will soon steal some of that wonder. But right now, I get to enjoy it every night. I hope every parent gets similar opportunities. You certainly don’t need to be on a sailboat to find these moments. Next up, our overnight sail from Anguilla to St. John, a.k.a., Sarah sees an “old colonial woman” out there in the waves . . . .
*I’m not begrudging anyone for taking vacations like these. If you enjoy them, more power to you! My point is that doing something outside of your comfort zone is also a really good thing to do once and awhile. So enjoying reading about you “daily adventures”! The photos are beautiful, but my favorites are the ones with animals in them! 😉 Please give Sarah a hug for me. Thanks for the update … a friend of mine from Madison suggested that I read your blog. Do you home school your son when back at home? Hi David and thanks for reading. We are planning on sending Jimmy back to public school upon our return. I do think a lot about this decision however. I plan to do at least one post on our experience homeschooling. It has been really rewarding. Do you homeschool? Love your adventures. We love to travel to new places too. Enjoy all of your stops. Stay safe. Thanks Linda. I really enjoy seeing all the great places you and Bill go. You guys always look like you are having a blast. Thanks HP. We are so looking forward to a Friday Fish Fry Wisconsin style with you guys.